With over 200 film scores to his name, it’s more likely that you’ve heard Mario Castelnuovo-Tedesco’s music than his name. Castelnuovo-Tedesco was born in Florence in 1895 into a family that had been in Italy for generations, since the expulsion of Jews from Spain in 1492. His career as a composer began with conservatory study in Italy, and by the 1920s he was beginning to garner attention in greater Europe. In 1932 Mario began a lifelong friendship with the guitarist Andres Segovia, who inspired perhaps his most famous work, the Guitar Concerto No.1, and became an important champion of his music. It is largely due to Segovia’s influence that Mario wrote over 100 works for the guitar, which today form an important and frequently heard part of that instrument’s repertoire. At the same time Mario forged friendships with other notable musicians including Toscanini, Heifetz and Piatigorsky. With the rise of Mussolini and the racial laws, Mario sought shelter in America. In 1939,Toscanini sponsored his immigration, and Heifetz procured a contract for him at MGM, scoring films, as Korngold and Rozsa were also doing. Until his death in 1968, Castelnuovo worked prodigiously, scoring hundreds of movies (many uncredited) while simultaneously composing a surprisingly large number of classical compositions as well, including his second violin concerto, commissioned by Heifetz. Though Castelnuovo was not as famous as some other studio composers, perhaps his greatest Hollywood legacy will be as a teacher, with students that included Henry Mancini, Nelson Riddle, André Previn. Jerry Goldsmith, and John Williams. Today, as we continue to re-evaluate the merit of works by once disdained composers like Korngold, Castelnuovo’s reputation as a classical composer is also on the rise. It is certainly true that something doesn’t have to sound beautiful to be great art, but finally we are also considering that having a melody doesn’t necessarily mean it isn’t art, either! Reviews of the premiere were mixed, with some praising the concerto’s tunefulness while others, like Olin Downes, dismissed it as “second rate music” for its traditional melodic values and tonal language. Piatigorsky performed the concerto a few more times in Europe, with critics continuing to split between praising and condemning it for its ‘old fashioned’ nature in a time of ascendant modernism (Korngold’s music was similarly dismissed, as was Rachmaninoff’s. History has offered a different judgment). Piatigorsky was active in commissioning for his instrument but unlike Heifetz, he rarely devoted great energies to promoting any of these commissions once they had been premiered, and quickly moved on to new projects. 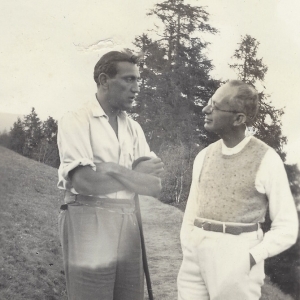 Castelnuovo-Tedesco insisted that Piatigorsky alone have the performing rights, and with the work never having been recorded and the music available only by rental, it quickly lapsed into obscurity. I first read about the concerto as a boy in Piatigorsky’s autobiography Cellist, and was already searching for information about it by the time I was a student at Juilliard. Finally, in the Fall of 2015, I connected with the proper rental agency and received a trial score. The only way to find out what it sounded like was to learn it and play it with the piano reduction! It was a new experience for me to learn a score with no recording to reference, no metronome marks, no ability to ask the composer, and only musical intuition and general markings to go by. As we prepared for the April concerts, I asked our Chief Operations Officer, Vicky Dominguez, who was talking regularly with Klaus Heymann of Naxos, to ask him if he might be interested in the cello concerto. I knew they had the largest collection of Castelnuovo recordings and had heard that Klaus was personally a Castelnuovo fan. He wrote back in minutes, eager to find a way to record it and, thanks to the generosity of Vicky and all my colleagues in the Houston Symphony and staff, we are indeed going to try to record this live from concert in April. However unlike most ‘live’ recordings we will have no patch session to fix things after the concerts, so our success will be dependent on getting what we need in concert- hopefully not when someone is coughing! Since Castelnuovo-Tedesco’s original works for cello and piano have already been recorded several times, we agreed that the remainder of the CD would comprise mostly rare and mostly unrecorded transcriptions that MCT arranged for cello and piano. Two pieces from Ravel’s solo piano suite Miroirs: La Vallée des Cloches (Valley of the Bells) and Alborada del Gracioso (Morning Music of the Buffoon) are fairly straightforward transcriptions, while the Serenade from Don Giovanni, and Two Cherubino Arias from Mozart’s Marriage of Figaro (the latter originally for violin) are more free fantasies. 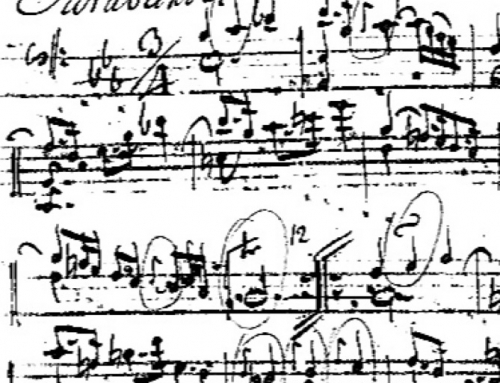 His arrangement of Rossini’s Figaro Variations is fairly well known to cellists and violinists. 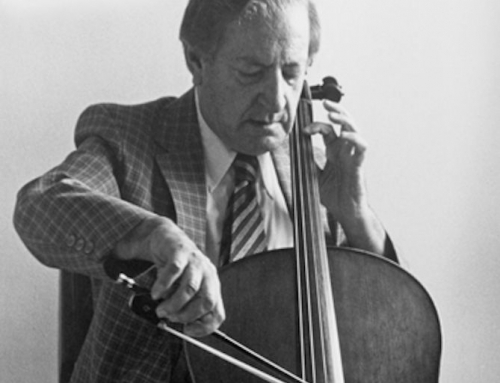 Mario had originally arranged his version of Figaro for cello, but Piatigorsky feared he would be laughed at playing a work that was neither wholly original music nor pure transcription. Heifetz saw the music and asked for an arrangement for violin. Mario made a considerably harder version for violin, which Heifetz then played to great success. Seeing this success, Piatigorsky also began performing his version, and this cello version is still frequently performed. However the version I play is largely a re-arrangement (‘de-rangement’) of the harder violin version, because I like it better and I can’t leave well enough alone, or as my mother says “we spend our lives trying to solve the problems we create for ourselves!” Finally Mario’s original composition Sea Murmurs, in the transcription of Heifetz, will close out the CD, which will be released in early 2018 if all goes well. 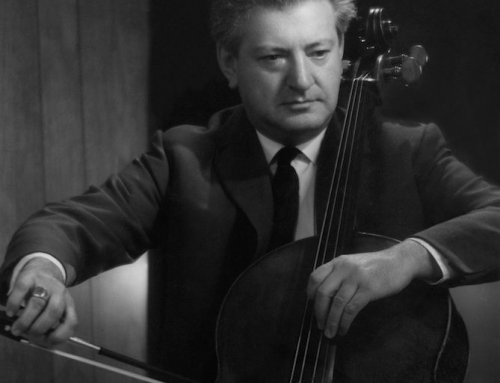 Sea Murmurs was Heifetz’s only encore in his last public recital—the last notes he played on the professional stage, perhaps an indication of Heifetz’s high regard for Castelnuovo-Tedesco. Learning this concerto, and having the chance to advocate for it has been one of the most personally meaningful things I’ve done in music. 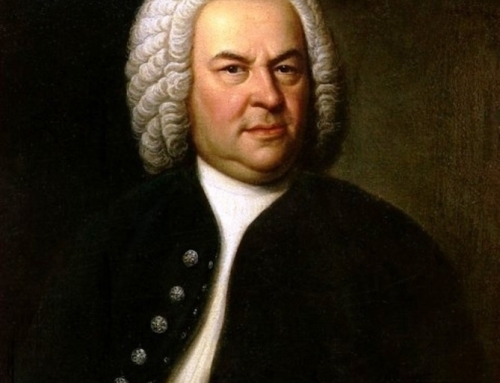 When I was younger I sometimes tried to accomplish difficult or unusual things, like playing Tzigane or Paganini’s 24th caprice, at least in part because I was trying to do something that had rarely if ever been done. But the older I get, the more I realize that my greatest wish is not to be admired, but for people to look at what I’ve done and believe that “If he can do that, so can I!” Obviously I approach music from a very ‘old-school’ point of view musically, but we all have to try to take the music beyond where we found it, and that means you must advocate for the music and performance styles you personally believe in, and push the boundaries of the instrument in the service of music. The videos I’ve posted to youtube are almost always unusual repertoire that I love, and hope others will play. Some of them are difficult pieces, but I assure you that I was no technical whiz when I was younger. I just like to push myself, and over time it builds, as it will for you too. I promise you there is nothing I’m doing that you couldn’t do too. I wish you all a happy life in music—know what you believe in, work for it and protect it. I assure you that the moments of fighting for what you believe in will be the happiest moments of your career. 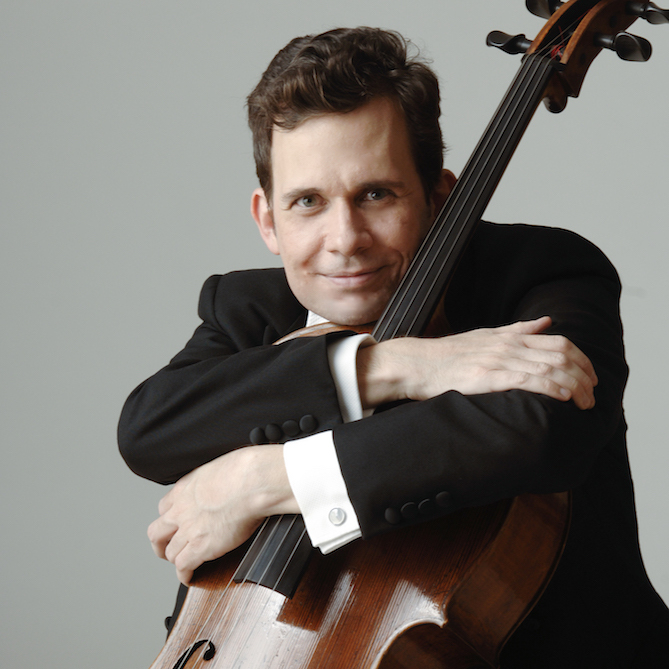 Hailed by Newsday for “extraordinary musicianship…forceful, sophisticated and entirely in the spirit of the music,” cellist Brinton Averil Smith continues to win rave reviews for virtuosic performances with musical ideals rooted in the golden age of string playing. His debut recording of Miklós Rózsa’s Cello Concerto with the New Zealand Symphony Orchestra won widespread international critical acclaim, with Gramophone praising Smith as a “hugely eloquent, impassioned soloist,” and his recording of chamber music of Fauré with Gil Shaham was chosen by numerous critics as one of the year’s best albums. As a chamber musician, he has collaborated with Yo-Yo Ma, Gil Shaham, Cho-Liang Lin, Lynn Harrell, Sarah Chang, Dawn Upshaw and members of the Beaux Arts Trio and the Guarneri, Emerson, Juilliard, Cleveland, and Berg quartets. Mr. Smith is the principal cellist of the Houston Symphony and a faculty member of the Shepherd School of Music at Rice University. He was previously a member of the New York Philharmonic and the principal cellist of the San Diego and Fort Worth symphonies. His performances have been broadcast throughout the world including, in the US, on CBS Sunday Morning and NPR’s Performance Today and Symphonycast. At age 10, Mr. Smith was admitted part-time to Arizona State University, studying mathematics, music and German, and he completed a B.A. in mathematics at age 17. 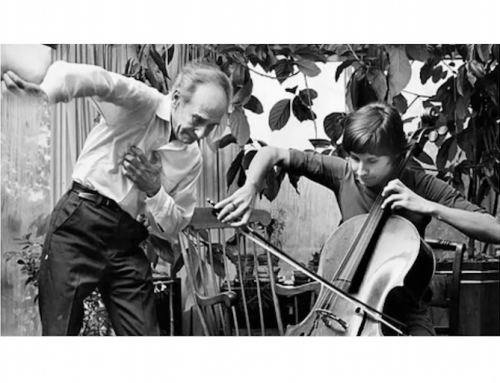 He received his masters and doctoral degrees from Juilliard, studying with renown cellist Zara Nelsova and writing on the playing of Emanuel Feuermann.